Welcome to the homepage for Donal & Brian ... a pair of mismatched Sox dedicated to the proposition that Irish music is fun! Donal and Brian first met in 1995 as band mates in West o' Clare, an Irish band active in the Southern Tier of New York State. 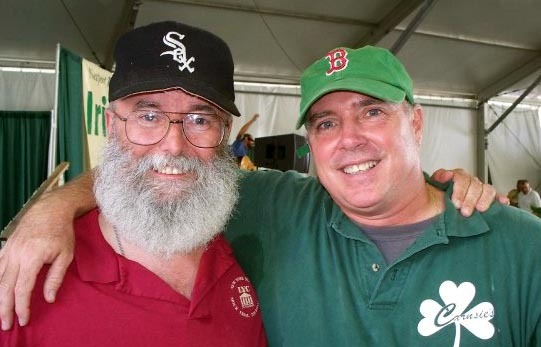 In the years they played together, Donal and Brian developed a strong rapport onstage. 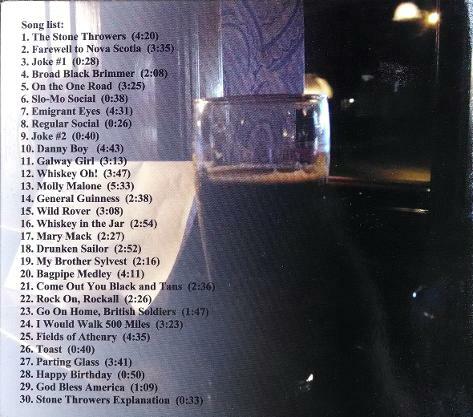 Their quick wit and sense of fun won many fans who were saddened when Donal's burgeoning solo career led him away from the band in 2000 and into the wilds of Ohio, New Jersey, Maryland, Rhode Island, and beyond. At the beginning of 2008, Brian also left the band and the two decided to renew their partnership. The result is a high-energy duo who are clearly having fun onstage as they entertain the crowd. 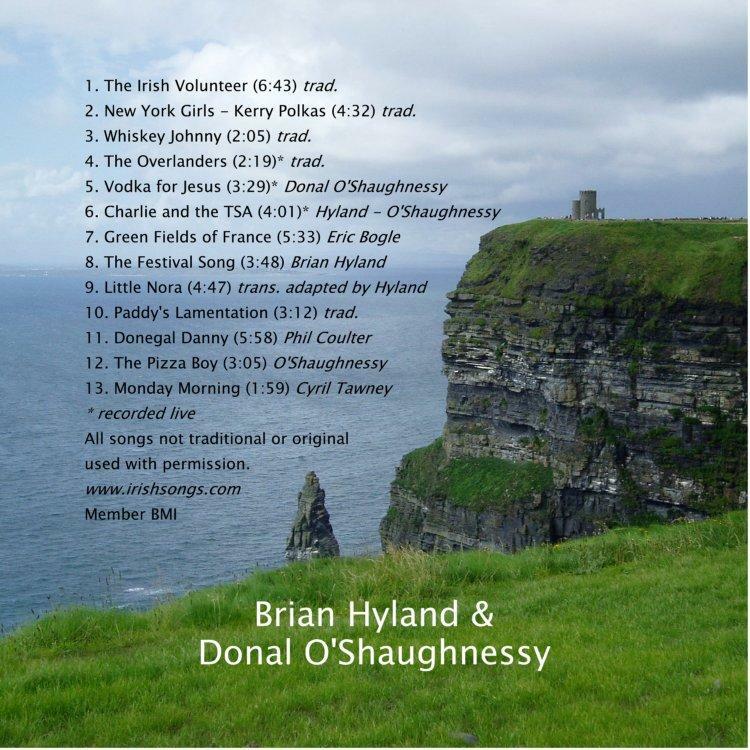 Donal's jokes and Brian's wisecracks add a lighthearted note as they play songs, jigs, and reels reflecting the Irish tradition and their own fertile imaginations. 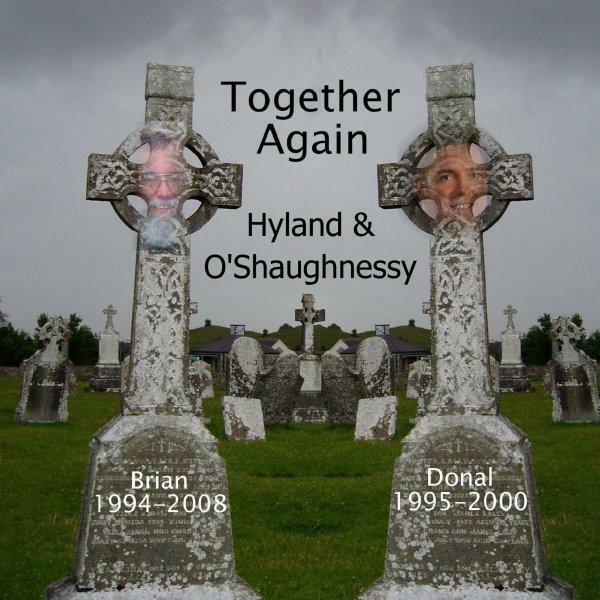 Brian and Donal's first album, Together Again (2008), is a lively mix of traditional tunes and songs, plus several original songs performed on guitar, keyboard, tin whistle, flute, Anglo & English concertinas, button & piano accordions, harmonica, bodhran, and whiskey glasses. 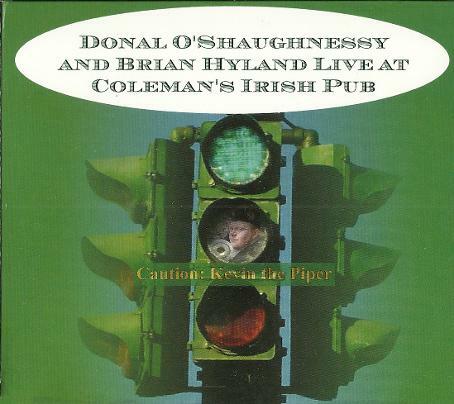 Donal and Brian's second album, Live at Coleman's Irish Pub (2013), is a live recording of the last ninety minutes of a typical Sunday afternoon at one of the landmark Irish pubs in Syracuse, NY. The raucously engaged crowd sings, claps along, and exchanges jokes while Donal and Brian welcome guest musicians on harmonica, bagpipe, and trombone to join in the fun.